I’ve no idea what I am meant to be doing. Not that there’s anything new about that, but for this task in particular I feel as if I have come in at the middle of a conversation and there’s a joke that I’m missing, but never mind. “Challenge: using photo as prompt write blog post” said @sensor. I wonder why he chose this. Did he know I’ve been dusting off my writing about it recently? Jigsaw classroom is a model of co-operative learning that can help to break down tension in the classroom and build trust between learners. Originally devised by Elliot Aronson, I have used it with my 1st year tutorial groups. If you haven’t come across it, I’d recommend checking it out. 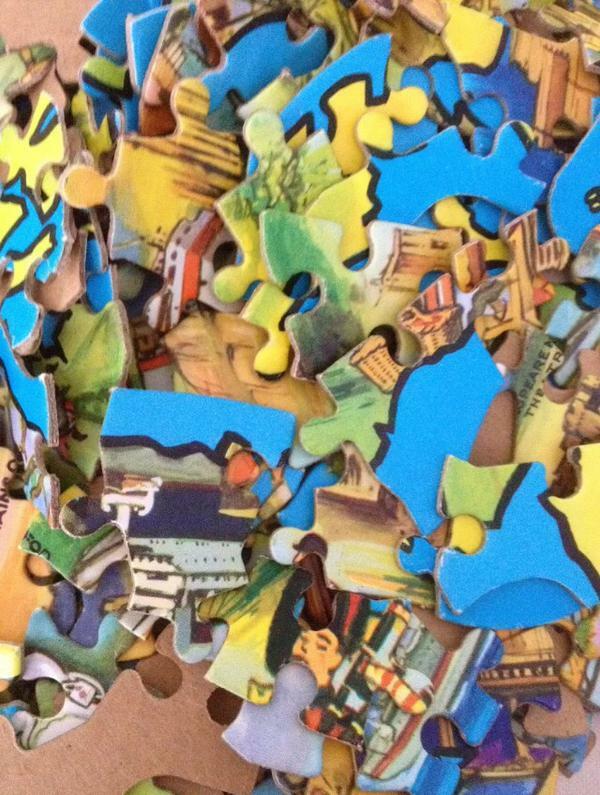 This entry was posted in #CLMOOC, Jigsaw Technique, Learning, Teaching and tagged co-operative learning, Jigsaw Classroom. Bookmark the permalink.